I hope all U.S. subscribers are having a lovely Thanksgiving holiday weekend! 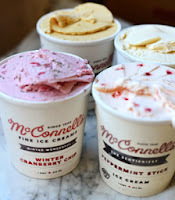 McConnell’s Ice Cream, a California dairy that has been making ice cream without any additives, preservatives or stabilizers since 1949, is promoting a gift of ice cream. Winter Cranberry is new to the company’s holiday pint line. Joining Egg Nog, Peppermint Stick and Pumpkin Pie, the holiday collection sells via the Internet for $40, plus $3 for shipping and handling. The collection ships overnight. 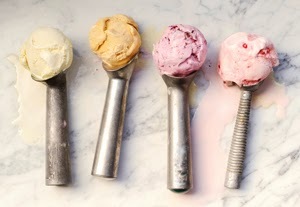 The ice cream is made from scratch with milk from local grass-fed cows and organic eggs from cage-free chickens. 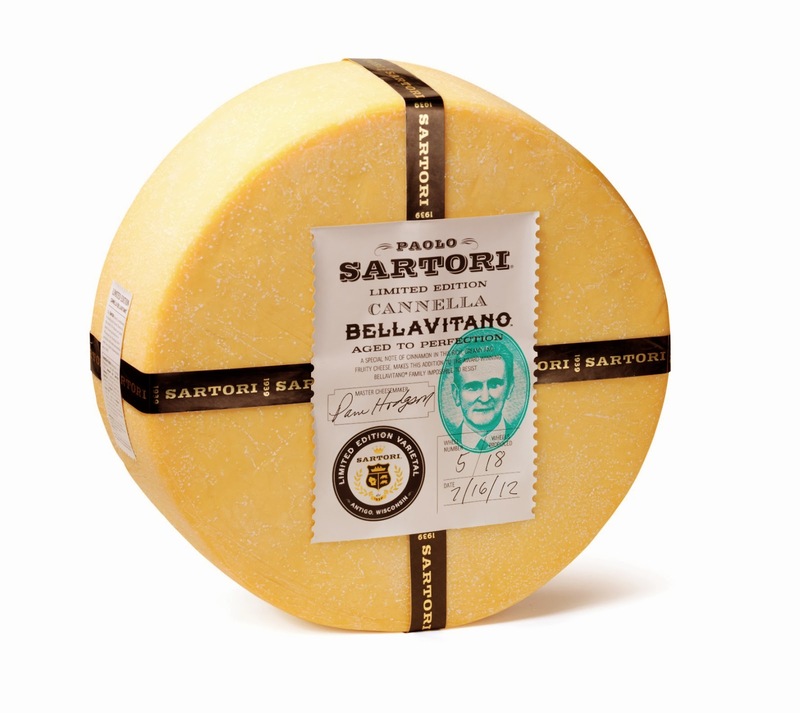 Sartori Company is releasing a limited quantity of Cannella BellaVitano and Cognac BellaVitano for the 2013 holiday season. Each cheese wheel is hand signed and numbered by a Sartori Master Cheesemaker. Cannella BellaVitano was created by taking sweet, buttery BellaVitano, aged at least 15 months, and steeping it in a cinnamon liqueur. Cognac BellaVitano, the most premium Limited-Edition item, truly stands out as a cut above the rest. 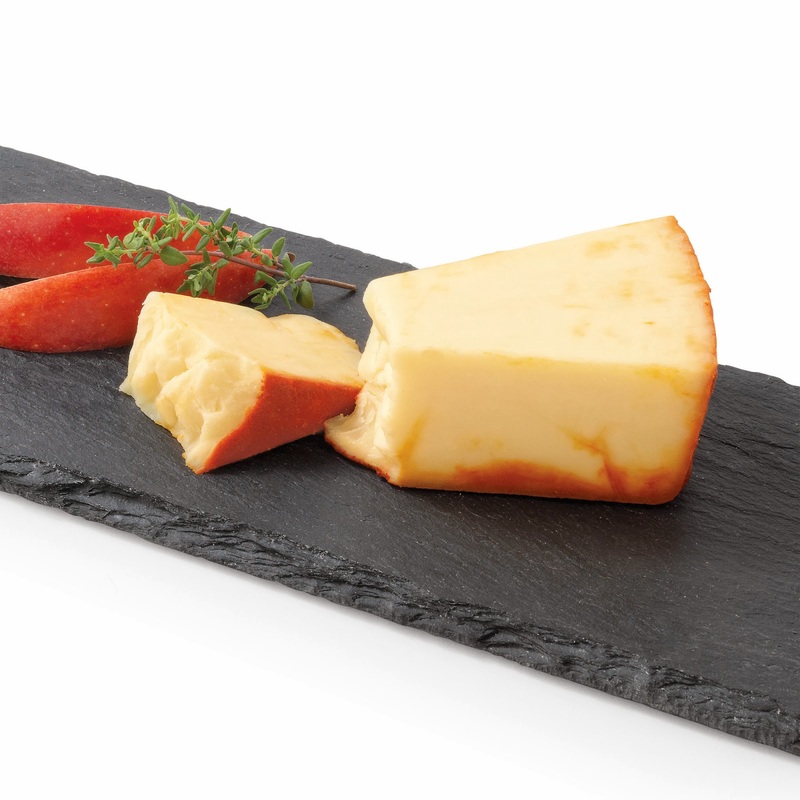 The cheese itself is extra-aged; it matures for at least 18 months. After the aging process, it is submerged in a premium cognac and is only ready for sale when Sartori Master Cheesemakers believe it is just right. The end result is a unique and complex celebration of smoky, nutty, oaky flavors with toasted notes of vanilla and caramel from the cognac. In 2011, Cognac BellaVitano finished 3rd overall at the World Cheese Awards, the highest ever finish for an American artisan cheese. These products are only available during the holiday season and can be purchased at select specialty cheese shops across the United States. 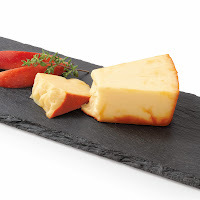 Additionally, a limited supply of 4-ounce wedges are available for sale on the Sartori website cheese shop and will be included in an exclusive 2013 Sartori Limited Edition Gift Box this holiday season. Hickory Farms, the specialty food and holiday gift retailer, opened more than 700 Holiday Market storefronts and kiosks for the 2013 holiday season. This year is especially exciting as the company introduces Hickory Farms Reserve, a new collection that will delight even the most discerning foodies. These new gifts, available at hickoryfarms.com and select stores, feature artisanal dry salami and eight all-natural cheeses handcrafted in Wisconsin by an award-winning master cheese maker. In addition, Hickory Farms has expanded its offering of wine gift baskets at hickoryfarms.com through a new partnership with Wine.com. One of these new gifts, Winter Wonderland Basket, features a balance of classic, savory favorites like Hickory Farms’ gold medal-winning Signature Summer Sausage and Smoked Gouda, complemented by some of their sweets, all paired perfectly with the lively character of Parducci Small Lot Chardonnay and the full, rich flavor of Parducci Small Lot Pinot Noir. As many of us know, the holidays can quickly go from “ho, ho, ho” to “ho, ho, oh no!” With so many rich foods to eat, it’s easy to over indulge and pay the price in the form of digestive distress, not to mention the stress of preparing a meal that everyone can enjoy, regardless of their dietary restrictions. According to Registered Dietitian Tamara Freuman, who specializes in medical nutrition therapy for digestive disorders, ‘tis the season for taking a more proactive approach to preventing holiday bloat by including probiotic-rich dairy foods. One of her favorite sources is the Flourish custom blend of 10 live active probiotic cultures, which is only found in Green Valley Organics and Redwood Hill Farm dairy products. This holiday season, consumers can indulge their cravings consciously with a few simple swaps that will help trim down the trimmings, beat belly bloat, avoid digestive dilemmas and please every palate at the table. “I recommend adding one-to-two daily doses of cultured, probiotic-rich dairy products to help boost the population of friendly bacteria in your digestive system during the holidays and Flourish is an excellent source,” says Freuman, who in addition to her clinical work is a gluten-free blogger for US NEWS & WORLD REPORT’s eat+run health page and hosts a popular blog devoted to healthy eating and gluten-free living at TamaraFreuman.com. “The diverse population of bacteria in your gut appear to have a hand in everything from keeping your digestive tract running smoothly and boosting immunity to how you metabolize sugar and manufacturing key vitamins to protect from harmful bacteria,” she says. What is Freuman’s go-to ingredient for healthy holiday eating and entertaining everyone can enjoy? The answer is kefir. “Kefir is an even more convenient way to get the health benefits of probiotic-rich dairy,” she says. 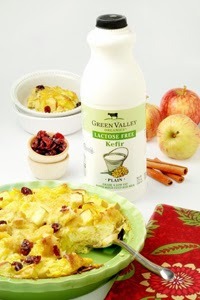 “Use plain kefir as a substitute for high-calorie, high-fat buttermilk, cream or condensed milk in all kinds of holiday recipes, from Old-Fashioned Brandied Pumpkin Pie and Holiday Eggnog to Creamy Parsnip Potato Mash. 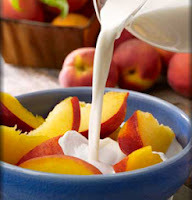 “No one needs the 820 calories and 325 milligrams of cholesterol per cup that heavy cream brings to the table, and by replacing all dairy ingredients with lactose-free versions and swapping out the heavy cream for heart-healthy kefir or lactose-free sour cream, your dairy-friendly guests won’t notice any difference in taste or texture, but your lactose-intolerant guests will appreciate being able to partake in the full meal without paying for it later,” she says. Promote probiotics this holiday season! During the weeks leading up to the International Dairy Show, which wrapped up a week ago, a number of noteworthy news items were sent to me. I am rediscovering them as I slowly catch up on email. In case you missed them, please allow me to share. 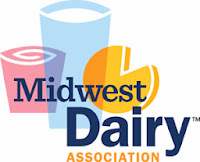 The Midwest Dairy Association, along with the Innovation Center for U.S. Dairy, contributed cross-merchandising success tips to an article recently published in Progressive Grocer. 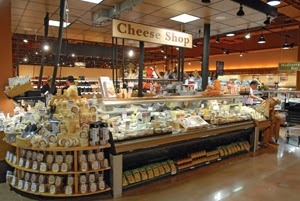 The article highlights how dairy can be merchandised throughout the center store and other perimeter departments. This leads not only to increased sales of dairy products but all categories merchandised with dairy. The article can be accessed HERE. For more information on the Midwest Dairy Association, visit HERE. For more information on the Innovation Center for U.S. Dairy, visit HERE. According to an article published in The Wall Street Journal, food marketers are changing their products to quietly signal to men that they should eat them. This is especially trending in yogurt. Read the article HERE. What’s in Store 2014, the latest edition of the annual trends publication of the International Dairy-Deli-Bakery Association (IDDBA), is now available. This 230-page report details consumer and industry trends affecting the in-store dairy case, cheese case, bakery, deli and foodservice departments. Its 200-plus tables, developed in cooperation with leading industry firms and associations, include department sales, per capita consumption, consumer preferences, system 2, UPC and private label sales data. The top food and beverage trend is the consumer’s move toward wanting products that are fresh, more real and less processed. Health and indulgence are no longer considered mutually exclusive. Nutritional health is taking a backseat to foods that are less processed with easily identifiable and few ingredients. Taste and quality, and the indulgence surrounding those attributes, are now part of the health equation. On Protein. Protein’s list of health benefits continues to grow, but unfortunately, dairy is not always recognized as a good source. The dairy industry has the power to change this…and we must act now. Consumers are increasingly interested in protein for its long list of health benefits—from muscle building and exercise recovery to weight loss, satiety and healthy aging. Sixty-three percent of consumers reportedly consider protein when they purchase packaged foods and beverages. The benefits of protein extend from babies all the way to seniors, creating opportunities to target specific subgroups—teenage athletes, for example—with messages around protein’s health benefits. Food manufacturers and commodity groups are piggybacking on this trend, with many companies adding extra protein to their products, hoping for higher sales. Protein substitutes and novel plant proteins are also emerging. Some tout the benefits of plant protein, challenging the traditional wisdom that animal protein is superior. The protein trend is thought to be here to stay, with its preventative power against the burgeoning rates of obesity and diabetes. Consumers generally do not associate protein with dairy products, rather turning to meat, beans and eggs for their protein sources. Dairy Council of California has efforts aimed at educating health professional and consumer audiences about milk and dairy foods as a high-quality protein source. There are opportunities for the dairy industry to aggressively market products as being “good” or “excellent” sources of protein. On Yogurt. Yogurt sales are stronger than ever. This is being driven by Greek yogurt and consumers’ increased understanding of probiotics. Young adults—those between 18 and 34 years of age—have largely driven this increase, seeking yogurt for its overall health benefits and as a breakfast food. In turn, young adults are feeding it to their children, fostering another generation of yogurt eaters. Added sugars will be an issue with yogurt, as some public health professionals are labeling sugar “the new tobacco” and linking it to the obesity crisis. Keeping sugar levels to a minimum while preserving taste will help yogurt maintain its current health halo. Many are seeking the benefits of probiotics in yogurt, which now extend beyond traditional immune system and intestinal benefits to effects such as decreasing obesity, reducing blood pressure, helping with satiety, minimizing anxiety and depression, enhancing brain function and even reducing breast cancer risk. While these benefits have not been proven beyond a doubt, some researchers are encouraging the 2015 Dietary Guidelines Committee to include probiotics in general recommendations for a healthy diet for overall—rather than specific—health benefits. On Health. While obesity rates have stabilized for both adults and children, the incidence remains high. One-third of adults and 17% of children are classified as obese, and concerted public health efforts are aimed at reducing rates. The American Medical Association now officially recognizes obesity as a disease. Although recognition does not have legal implications, experts think it may open the door to reimbursement for prevention and treatment of overweight. Concurrently, incidence of metabolic syndrome—the cluster of risk factors for heart disease that includes high blood pressure, overweight and unhealthy blood glucose and lipid levels—is dropping due to better control of symptoms such as blood pressure and cholesterol. However, incidence is still high at 23%, and efforts will continue to focus on prevention. A number of observational studies continue to link higher milk and yogurt consumption to lower rates of metabolic syndrome, with components such as calcium, vitamin D, protein, dairy fat and trans-palmitoleic acid possibly acting as protective agents. Clinical trials and mechanistic studies are needed to support these findings; however, this could bear out to be very positive for the dairy industry. Dairy Council of California continues to position milk and milk products as an irreplaceable part of a healthy diet that helps maintain body weight. Plans are in place to educate health professionals about dairy’s emerging benefits to metabolic syndrome. For more information on the Dairy Council of California, visit HERE. Congratulations to the International Dairy Foods Association (IDFA) on its very successful International Dairy Show that took place earlier this week in Chicago, my home town. It was so wonderful to see so many old friends and to make new friends. For those of you who missed The Daily Dose of Dairy Live presentations on the show floor, you can view the slide shows HERE. For best viewing, open on as large of a monitor as possible. You can find additional details on many of the products by accessing the product-specific tab on BerryOnDairy.com, which can found HERE. These were the four presentations and their sponsors. Thank you very much to the sponsor-show exhibitors for making these presentations possible. 1. Cottage Cheese. During the reception on Sunday evening, friends at an East Coast dairy agreed that they believe the time is right for cottage cheese to make its comeback. Inherently an excellent source of high-quality protein, cottage cheese partners well with both sweet and savory inclusions and is readily adaptable to all types of single-serve containers. One supplier showcased cultures that assist with efficiently making consistent clean-label (stabilizer-free) cottage cheese. 2. Lactose Free. Another supplier showcased enzymatic technology to reduce or eliminate lactose in cottage cheese, as well as most other dairy foods. There is high demand for lactose-free dairy foods in Europe and this is quickly trending to the United States. Here’s an added perk. When the disaccharide lactose is enzymatically broken down to galactose and glucose, its sweetness increases. This often allows for a reduction in added sugar…the next buzz. 3. Lowering Added Sugars. In addition to breaking down lactose, there were a number of sweetening solutions showcased by suppliers. Their objective is to reduce total added sugars by optimizing sweetness through the use of alternative sweeteners, sometimes in conjunction with natural flavors. Intensely sweet nutritive sweeteners have a place in flavored milk for The National School Lunch Program, while other high-intensity sweeteners provide a solution for a la carte school milk, as well as products for retail and foodservice. 4. Dessert, Premium Yogurt. Cultures, sweeteners, stabilizers and flavorful ingredients turn yogurt into a guilt-free dessert. 5. Innovative Ice Cream Inclusions. When talking with folks on the show floor, these were the hottest flavors to try: Cinnamon Cream Horchata (the authentic flavor of horchata in ice cream with cinnamon cream swirls), Working for Peanuts (caramel peanut nougat ice cream with salty cocktail peanuts and swirls of salted caramel variegate), Sewing the Seeds of Love (cinnamon caramel ice cream blended with praline pumpkin seeds and swirls of salted caramel), It’s a Homerun Jack (caramel popcorn ice cream blended with caramel popcorn and swirls of gooey caramel) and Salty Caramel Caribou (toffee-flavored ice cream with salty caramel-filled mini milk chocolate cups and salty caramel fudge.) Basically, the flavors trending this season are caramel, cinnamon, nutty and salty. 6. Nutrient Enhancement. Yogurt has traditionally been the delivery vehicle of choice to showcase added nutrients. This year it was fluid milk and cheese. Ingredients trending include fiber, omega-3 fatty acids and mineral blends. 7. Dairy-Based Beverages. Coffee with milk continues to boom. Other innovations include tea lattes, oat milk, juice milk and horchata. 8. Winners of the Collegiate Dairy Products Evaluation Contest. Read more HERE. 9. Winners of IDFA’s Innovations Awards. Read more HERE. 10. The Daily Dose of Dairy. 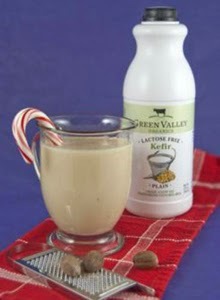 Thank you for all the positive feedback on the Daily Dose of Dairy e-newsletter and BerryOnDairy.com website. It was wonderful to meet so many subscribers and to welcome new additions to this growing family of nearly 3,500 global subscribers. Apologies for this edition being delivered later in the day. I hope it did not mess up your morning, as many of you expressed how the typical 4:00am EST delivery serves as a wakeup call. Thank you for allowing the Daily Dose of Dairy and BerryOnDairy.com to be part of your morning routine. Finally…mark your calendars for the next International Dairy Show scheduled for September 15 to 18, 2015. The show will once again co-locate with PROCESS EXPO in Chicago’s McCormick Place. 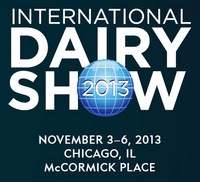 For information regarding the International Dairy Show, visit HERE. To reserve booth space, contact International Dairy Show Sales Executive Katherine Madison at exhibit@dairyshow.com.